Hiya folks, long time no see! Even tho I took a Youtube break I've still been reading nail polish blogs everyday. 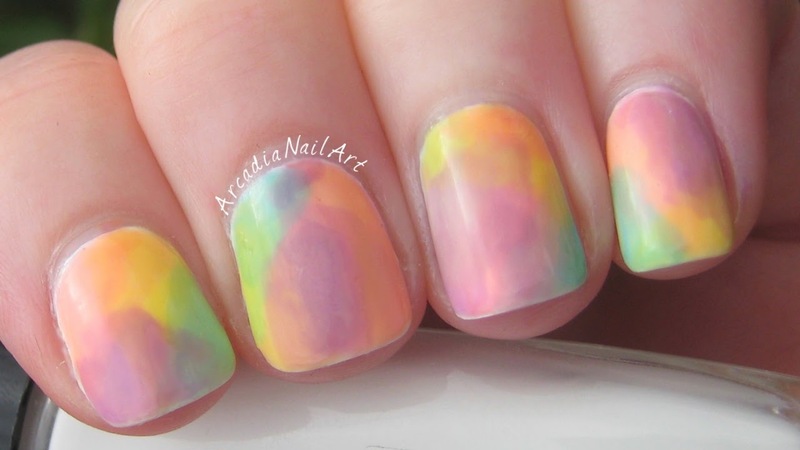 I saw ThePolishaholic do a watercolour manicure using the new OPI Sheer Tints collection. I loved it but couldn't justify buying a whole set of polishes (sad face) so I thought I'd try DIY-ing it with regular colours from my stash, and the overall look was really pretty! It's nowhere near as messy as many versions of this look, no sponging or water marbelling, just a nail polish brush! Find out how to create them in my new video HERE.